FC Pune City left it late but finally managed to score a hard fought but deserving 1-0 win over NorthEast United FC at the Shree Shiv Chhatrapati Stadium in Balewadi, Pune, tonight. 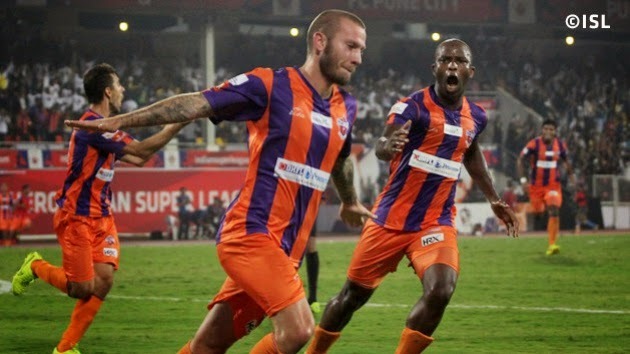 Dutchman John Goossens came on as a 58th minute substitute to put his side in front in the 88th minute with a headed goal to lift Pune off the bottom of the table. The Deccan side now climb to fourth spot with seven points from five games while the visitors remain in third place with eight points from six games.